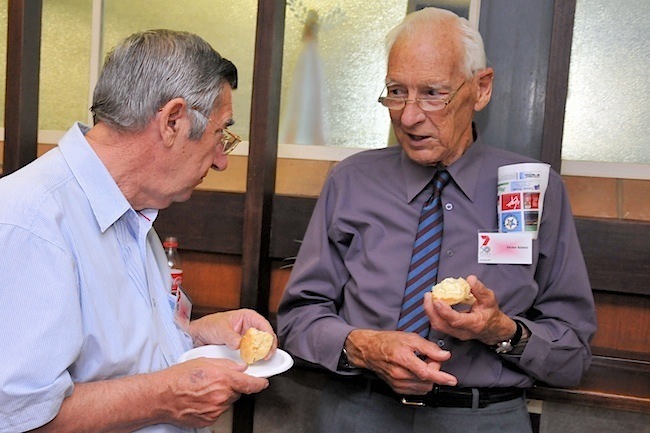 June Holmes sadly reported the passing of Vic Kitney, who for those working at STW9 in the 1960s, will remember as the station’s first Chief Engineer, from before the station was built and opened in 1965 until 1968. Vic married Lorna Romey (1928-1998) on 1 April 1950 at St Peters, Ballarat, Victoria. There are three surviving children, Michael, Roger, and Karen from that union. In 1960, Vic married Evelyn McCullagh and have a son Philip. Vic served in the RAAF with the Number 3 Telecommunications Unit and worked for 6AM in Northam before venturing into television with TVW7 in 1959, specialising at the transmitter. 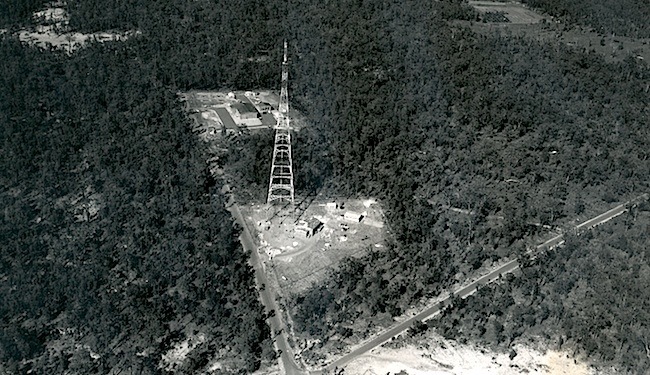 Many staff at the transmitter were passionate HAM radio operators, as was Vic, a keen radio innovator and amateur (VK6VK) playing around with double sideband, using the phasing method to suppress the carrier and pioneering the use of radio teletype (RTTY). 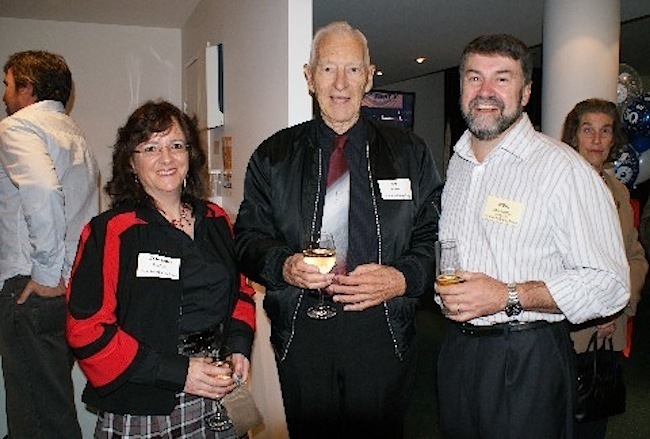 Vic then took on the responsibility of Chief Engineer at STW, from when the office was first located in Parliament Place, West Perth, before the studios were built. 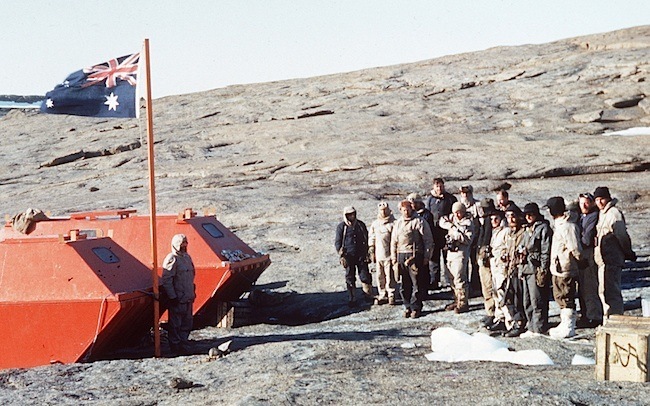 Then in 1968, Vic spent 14 months at the Antarctic base of Mawson in the role of Senior Technical Officer for Communications and as an assistant to the doctor. 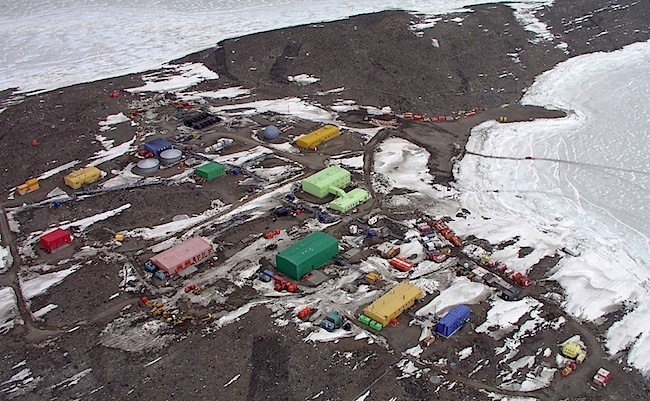 Mawson is situated on an isolated outcrop of rock on the coast in Mac.Robertson Land, at the edge of the Antarctic plateau. It is Australia’s first continental station and the longest continuously operating station south of the Antarctic Circle. Mawson location: 67°36′ S 62°52′ E.
Just before his first tour expired at Mawson, he broke his leg, but it was set crooked and had to be broken and reset on returning to Perth. 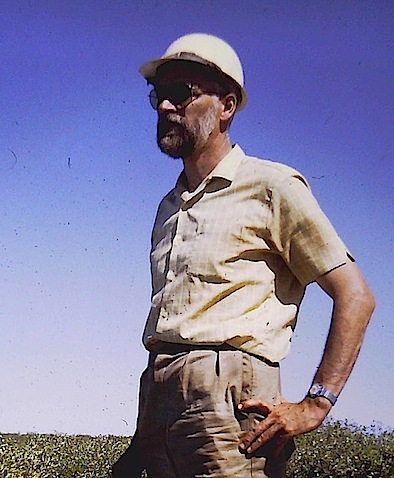 Whilst his leg was still in plaster, Vic rejoined TVW and spent a period at Mount Goldsworthy TV Facilities, a mining town east of Port Hedland, where both Seven and Nine had set up a cable television service for the residents. Mt Newman mining also benefited from this service. The content was provided on videotape by both stations for viewing throughout the company town. This was done at the request of the iron-ore mining company who paid for the infrastructure. It was the first example of ‘cable’ television in Australia. 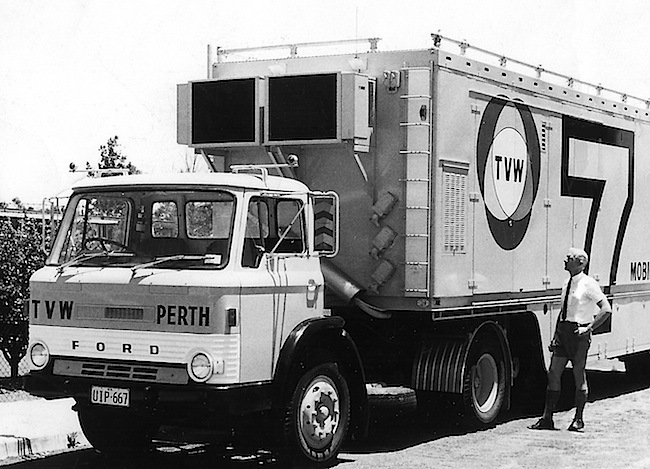 Vic also played a role in setting up TVW’s new colour OB van, travelling to Melbourne to initiate installation after the body of the van was constructed there. 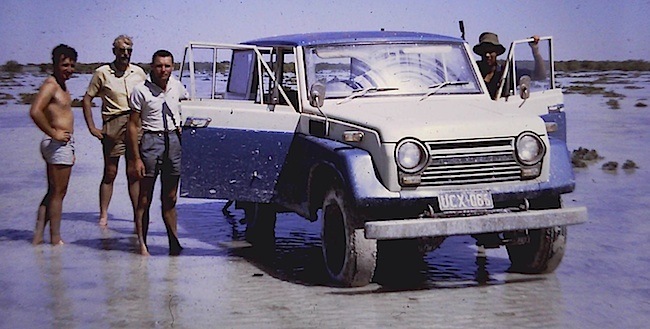 Vic later moved to Tasmania and worked as a transmitter technician for TVT6 Hobart (and changed his call sign to VK7VK until his return to WA), before returning to Antarctica in 1983 for another 14 months. He retuned to Tasmania to marry Maida (Madia Francis) Klgi, who sadly passed away in 1987. On returning from Tasmania he worked for a television services company in Busselton, before retiring in Bunbury. Vic’s family were orchardists at Donnybrook, with his father Jack Kitney also a HAM operator. Vic passed away on Saturday November 26, aged 82. The much loved father of Michael, Roger, Karen and Philip. Father-in-law of Dale, Di, Wayne, and Hazel. Grandfather of Anneka, Tahni, Samantha, Kristen, Narissa, Simmone, and Rueban and great Grandfather of 9. Philip Kitney advised that his father’s funeral service will be 10.30 am at Karrakatta on Monday 5 December, all welcome. Afterwards all invited to join family and friends at their Riverton home for lunch. Many thanks to the following contributors for this tribute: June Holmes, Beb Penno, Cedric Woods, Ian Stimpson, Philip Kitney, Bert King, Richard Ashton, Derrick Wright, Don Graham and Terry Spence. Passed away on Saturday November 26, aged 82. Much loved father and father-in-law of Mike and Dale, Roger and Di, Karen and Wayne, and Phil and Hazel. Dearest Grandfather of 7 and great Grandfather of 9. Rest peacefully our dear Dad. Loving memories, from us all. Much loved grandpa of Narissa and Erik, Simmone and Joe, Rueben and Tanya. Great grandpa of Caitlyn, Kayde, Ruby and Lily. You will never be forgotten. Much loved Dad of Mike and Dale, dear Grandpa of Sam and Mike and Krit and Rich, and great grandpa of Jack, Kyle, Charli, Hudson and Dane. Dad was a fine raconteur with many tales to tell of an interesting life. He loved meeting and talking with people, and enjoyed his travels and his hobbies, especially amateur radio and dancing. He fought his long battle with illness with good humour and fortitude. We’ll all miss you greatly old mate. Brother of Royce and Merle. Uncle of Pam, Gwenda, Janet and Albert. With Jesus and friends. Deepest sympathies to Mike, Dale, Sam and Kris and all the extended Kitney family on the loss of Vic, a great bloke. Rest in peace. John, Joy and the Knowles family. Much loved Dad of Karen and Wayne, and Grandpa of Anneka and Tahni. Resting peacefully now. Goodbye Dad, take care! Phil and Hazel, thinking of you in your time of sadness, we are there for you. Greg, Christine, Caleb and Arian. My condolances and deepest sympathy to Vic’s family. I nicer more genuine guy you could ever wish to meet, having worked with Vic in the 70’s we became aquanted through our work and commitment to the TV industry. I was truly saddened to here this news today and am really disappointed that I cannot attend Vic’s funeral to pay my last respects, but am now semi retired having recently moved to New Zealand. Thank you for the posting Ken, as otherwise many of us would not have heard of Vic’s passing. It is with much sadness to hear the passing of Vic. I worked with Vic on the Shey Gap extension project when at TBC where he was Technical manger. This was in the mid seventies and subsequently at the Perth office. This period of Vic’s career seems to to have been missed in the obituary above. Vic was great to work for and with. Vic was truly a pioneer in the establishment of Television in Western Australia. I had the pleasure of Vic’s company for lunch at my home in Tasmania a little after the TVT6 reunion in 2010. He was, as usual very able to tell a “good yarn”. Very sorry to hear the sad news. Vic was my hero. I was senior radio technician at Repstat (Casey, Antarctica) in 1968, thus I had trained with Vic in Melbourne before departure. On return, I became VK7VK to emulate his call sign in Tasmania and gladly surrended it when Vic came here to live. We met briefly and eagerly recounted old times. Vale Vic.